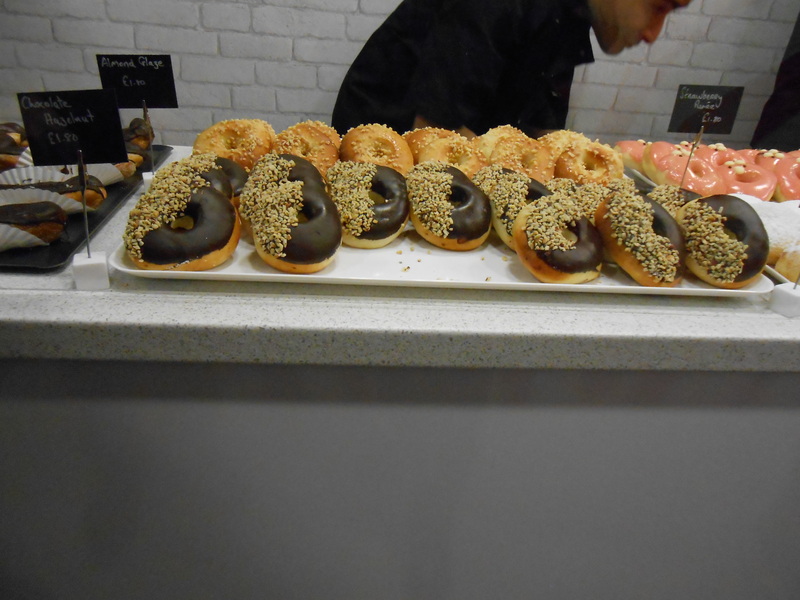 Dum Dum Donutterie – Doughnuts launch in Boxpark, Shoreditch! Chloe, from CAN Associates, drumming up custom outside! 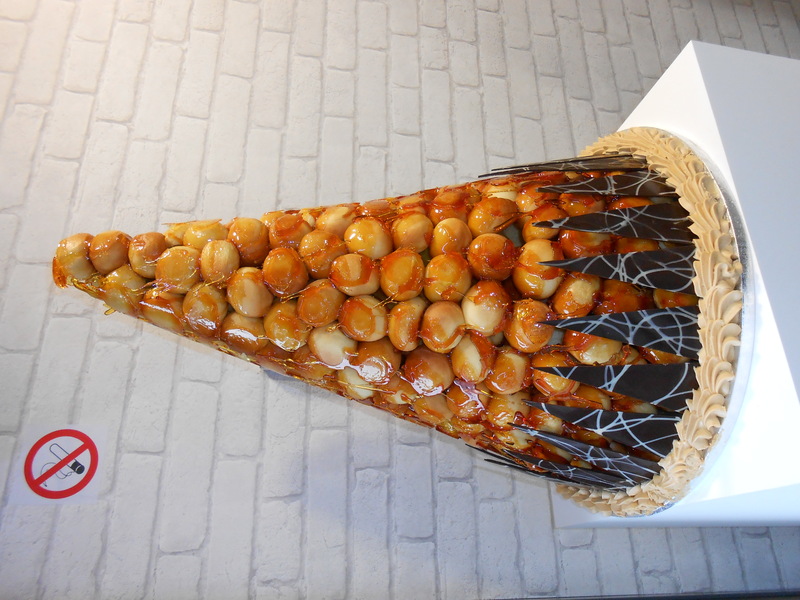 A very impressive Croquembouche on display as you walked into their store! 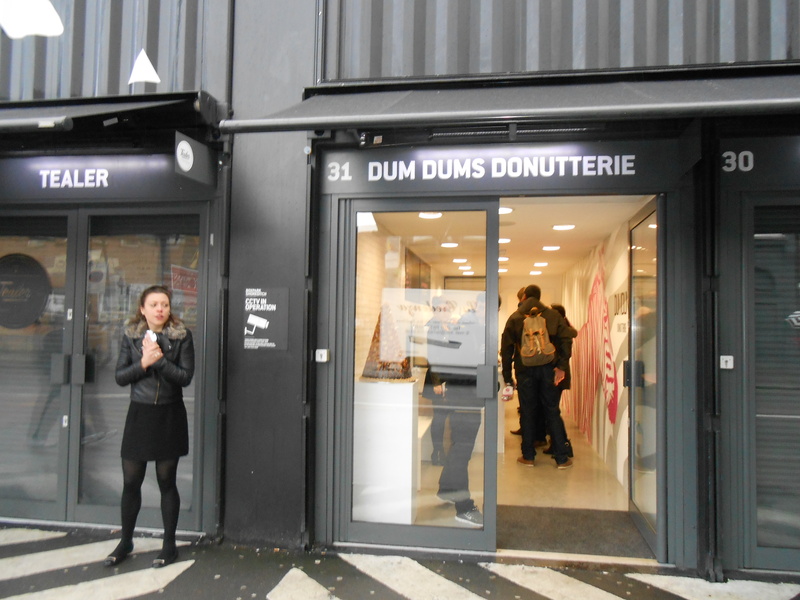 We went to the launch of Dum Dum Doughnuts in Boxpark, located in the trendy surrounds of Shoreditch. 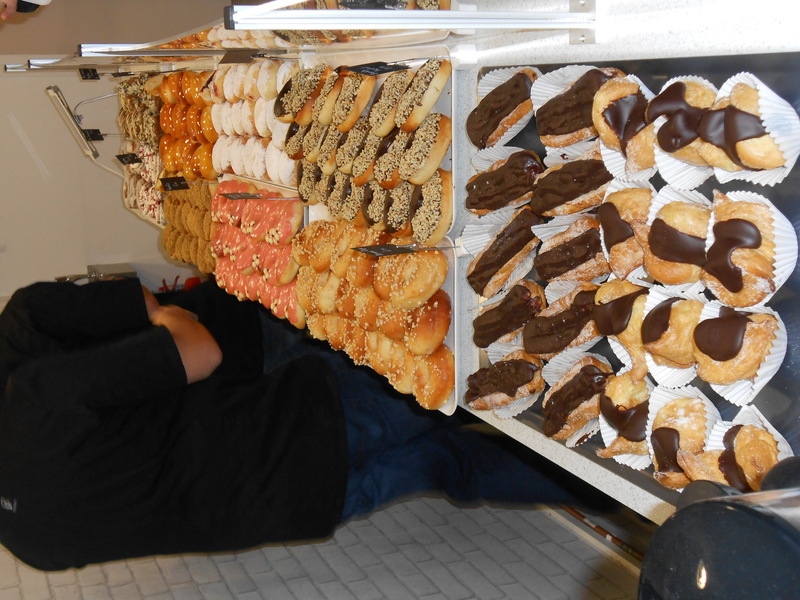 The brains behind this company are patisserie owner and artisan chef, Paul Hurley and his father Tom. The difference with Dum Dum Doughnuts compared to other doughnut companies is that they use a unique (patented) baking process to offer a selection of freshly baked, handmade doughnuts (which are lower fat than standard ones), with the Dum Dum Cronut amongst their limited collection accompanied by another affectionately called “The Zebra” (one we are planning on returning to try). Why consume an unhealthy fried donut, when you can get your doughnut fix served by these lovely guys with a third of the fat content. For example, their traditional Dum Dum Raspberry Preserve Doughnut has 6g of fat compared to the traditional 17g of fat in a classic American style jam doughnut. Baking is the way forward! 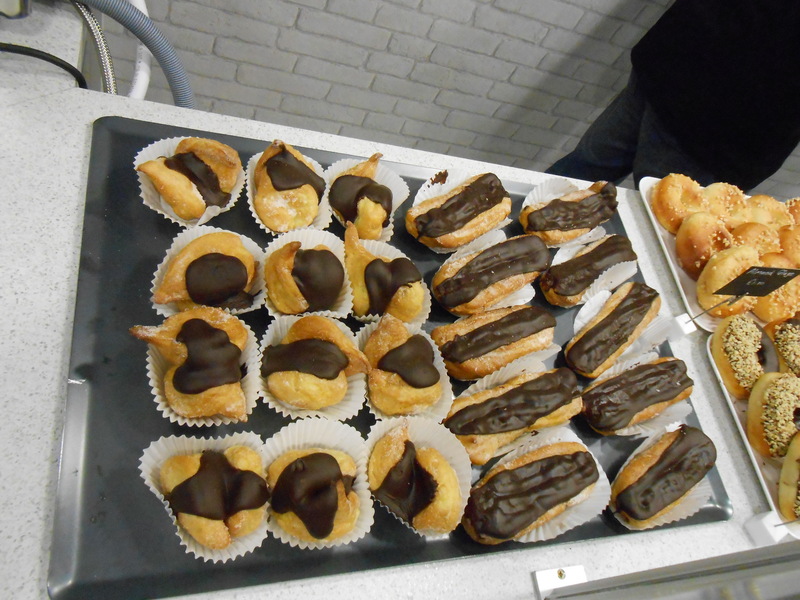 Special treats – including a baked donut eclair! Paul was so busy and dashing about! 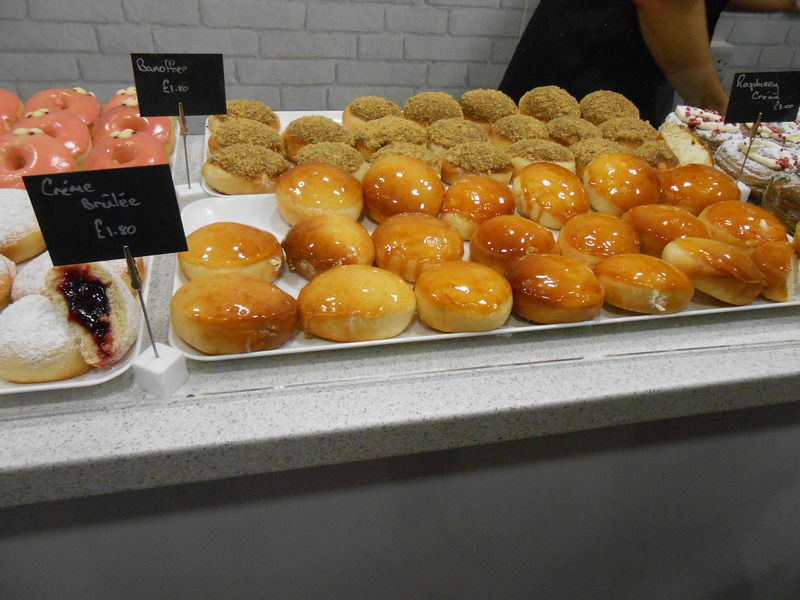 We particularly loved the Creme Brulee and the jam-packed Real Raspberry doughnuts. The creme brulee had a wonderful crunchy caramel top as you bit into it – one of our favourite desserts in doughnut form! 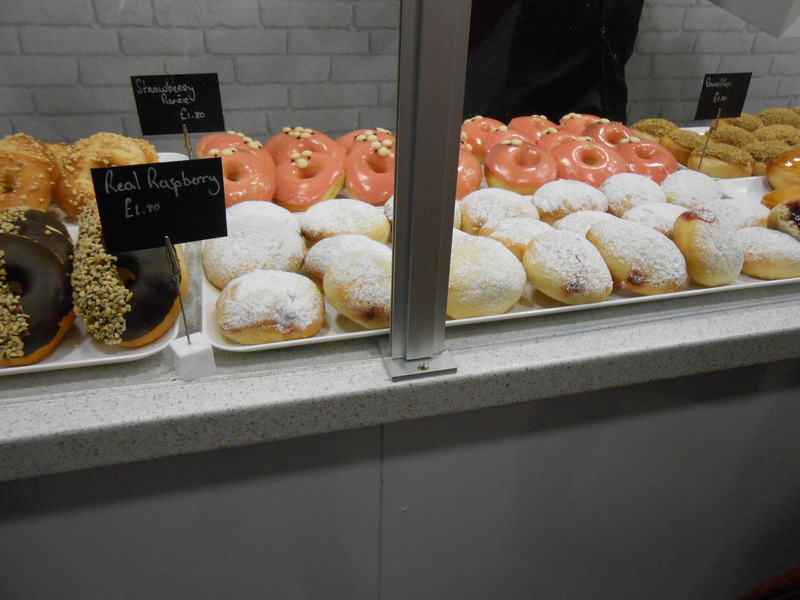 They have decent amount of fillings in all their doughnuts. Coffee selection to go with your boxed donutterie treats! Thanks to Paul and Tom, Chloe and Jenna (from CAN Associates – PR), and the rest of the Dum Dum Donutterie Boxpark team for looking after us. 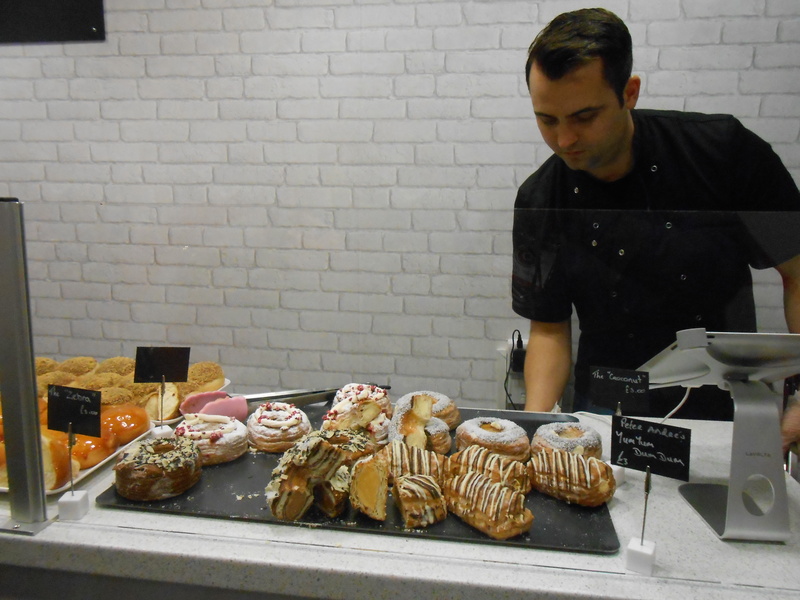 Looking forward to visiting again soon for our next healthier, baked doughnut fix! 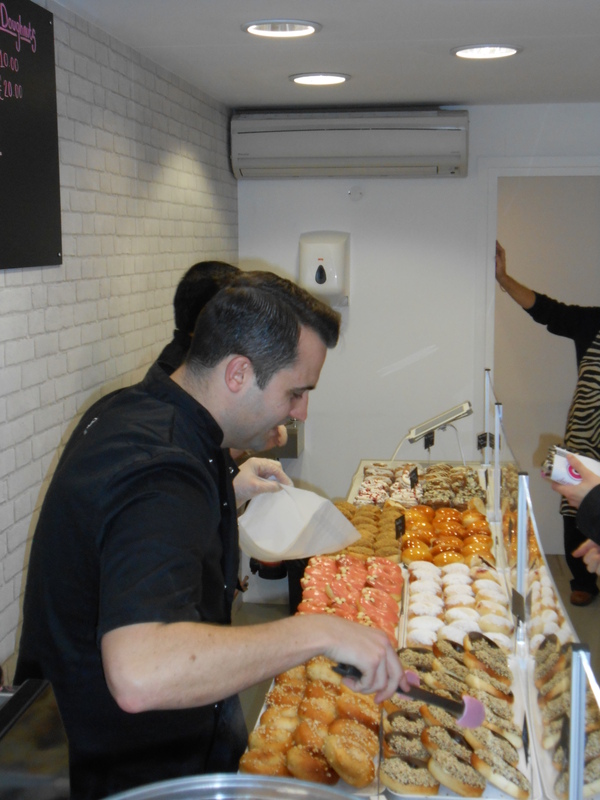 Also, check out their other location at Westfield Shopping Centre which has been a real success. Well done guys! This entry was posted in Afternoon Tea, American, Bakery, Bethnal Green, British, CAN Associates, chocolate, Donuts, Dum Dum Donutterie, Dum Dum Doughnuts, Gift ideas, Hoxton, Hoxton Square, london, menus and prices, New launches, present ideas, Shoreditch High Street, Shoreditch High Street, Tea, weddings and tagged afternoon tea, American, baked, bakery, Boxpark, British, CAN Associates, Chocolate, coffee, delights, donut, donutterie, doughnuts, Dum Dum Donuts, food, gift, goods, healthy, Hoxton, Hoxton Square, ideas, influences, London, menus, present ideas, presents, prices, shoreditch, Shoreditch High Street, Tea, wedding. Bookmark the permalink.